The Local Food Initiative is Hiring! 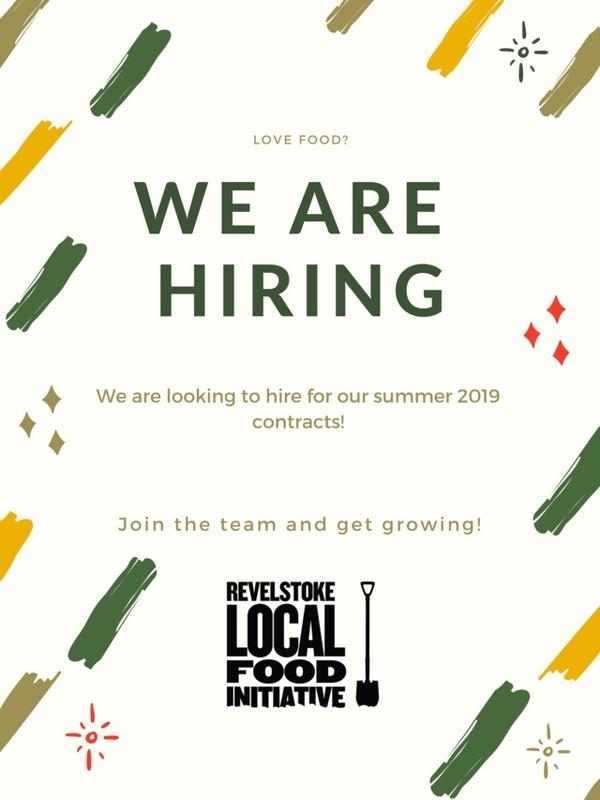 The Revelstoke Local Food Initiative is looking to hire contractors for their 2019 programs. Are you looking to get involved with us? We have four contracts of various sizes and lengths to be taken on by new contractors. It is a great way to get involved in Revelstoke's sustainable and local food community!